Quadrant’s Data Quality Dashboard is a free service that allows you to assess the quality of the location data feeds. At Quadrant, we pride ourselves on providing quality data that is fit for purpose. To uphold this reputation, we have created the Data Quality Dashboard. The Data Quality Dashboard is a free service offered by Quadrant. The dashboard has a suite of metrics that allows users to assess the quality of the location data feeds available on our platform in order to help select the proper data feeds. View the number of Daily and Monthly Active Users from our global data feed. Choose by country or see the global figures. These figures are used as a gauge of location data quality. View the completeness of each data field in our feed. Missing fields are common in location data feeds and can limit the usefulness of the feed. Quadrant’s Data Quality Dashboard shows the amount of missing data for each data field in the feed. View the distribution of various quality metrics curated by Quadrant. These charts will help you get a clearer idea of the data feed's quality. 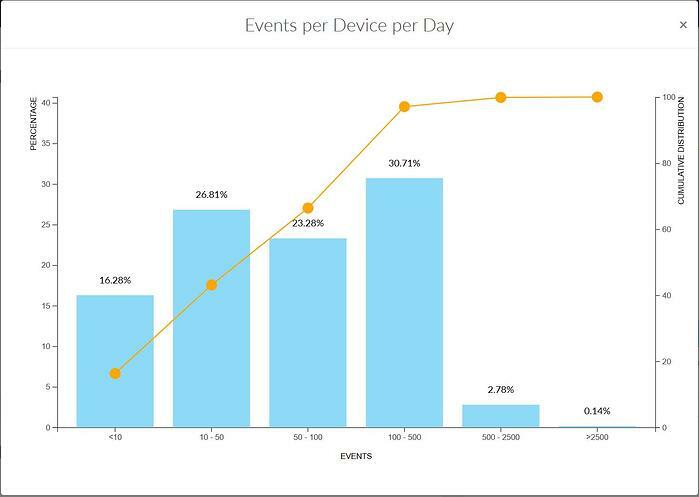 The distribution of the number of events seen per device in a day. Higher number of events per device generally indicates better quality location data. The distribution of the horizontal accuracy. 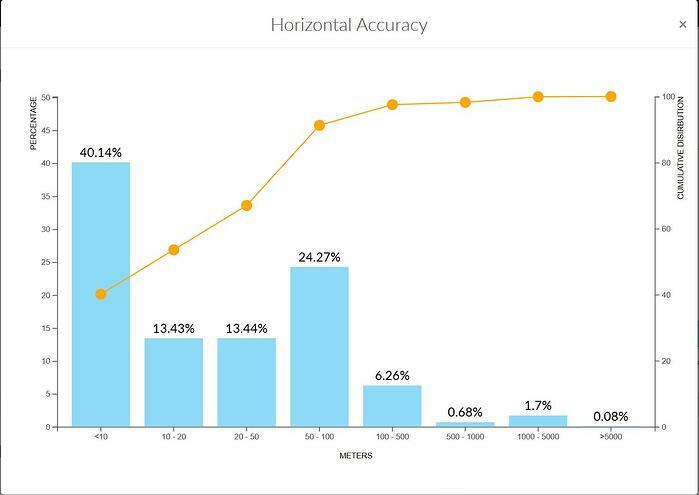 The higher number of devices with a smaller range of horizontal accuracy generally indicates better quality location data feed. Number of days a device is seen per month. 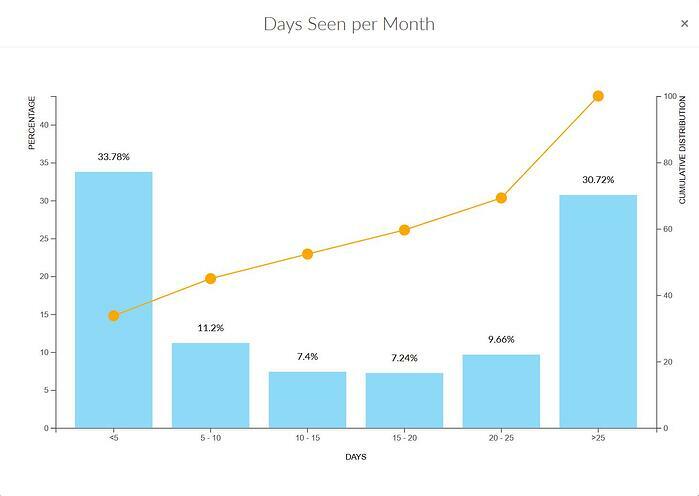 Higher percentage seeing more days per month generally indicates better quality location data feed. Number of hours a device is seen in a day. 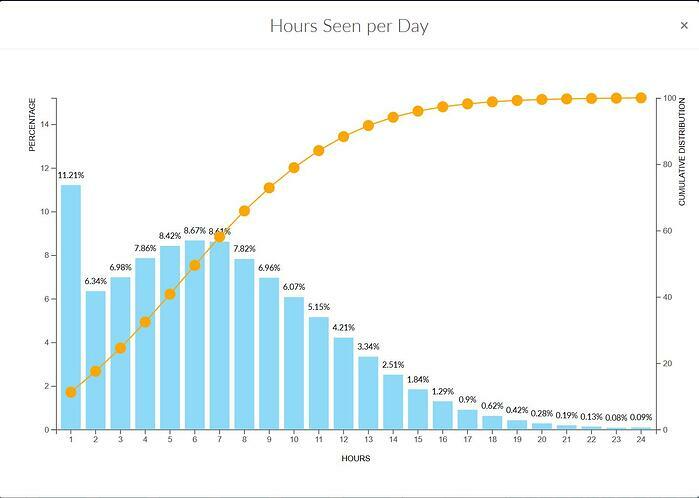 Higher percentage seeing more hours per day generally indicates better quality location data feed. Subscribe now to receive notification when it is released and for notifications of future releases and upgrades.